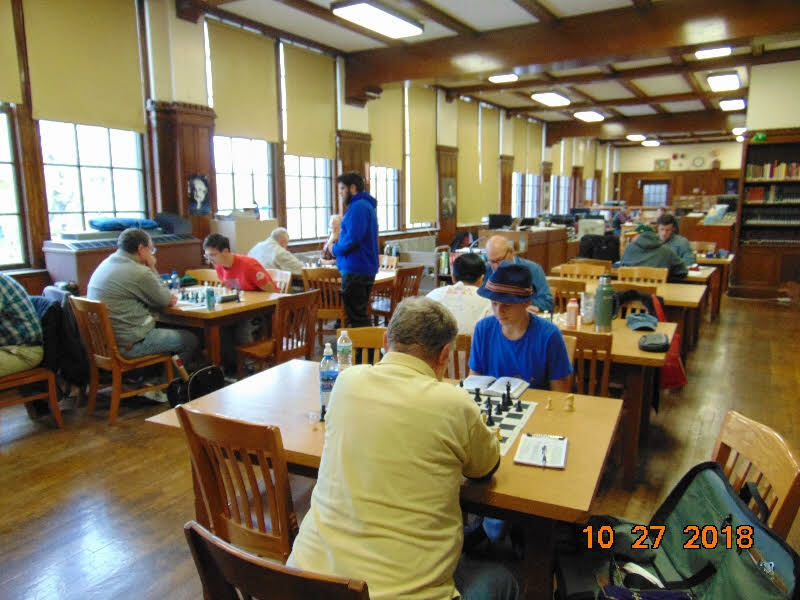 10.29.18 Fifty players turned out for the Bapst Fall Tournament played at John Bapst Memorial High School in Bangor on Saturday, October 27, 2018. Tournament winners were Jarod Bryan (Open), Evan Smith (U1600), Andrew Demaris (U1200), and Tobias Coffey (U800). Here's the illustrated tournament report with US Chess crosstables. 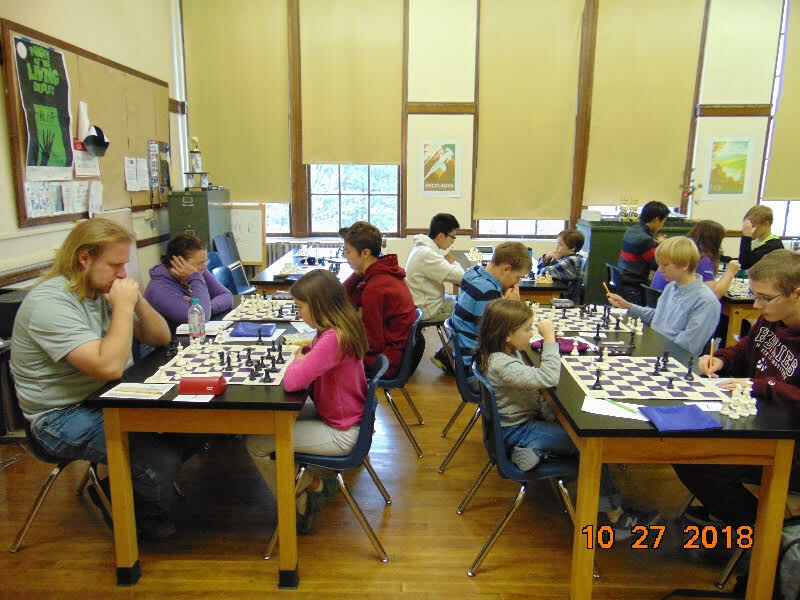 If this tournament is any indication, chess tournament participation in Maine is on the rise! Thanks to Michael Dudley and Roger Morin for contributing to this report. 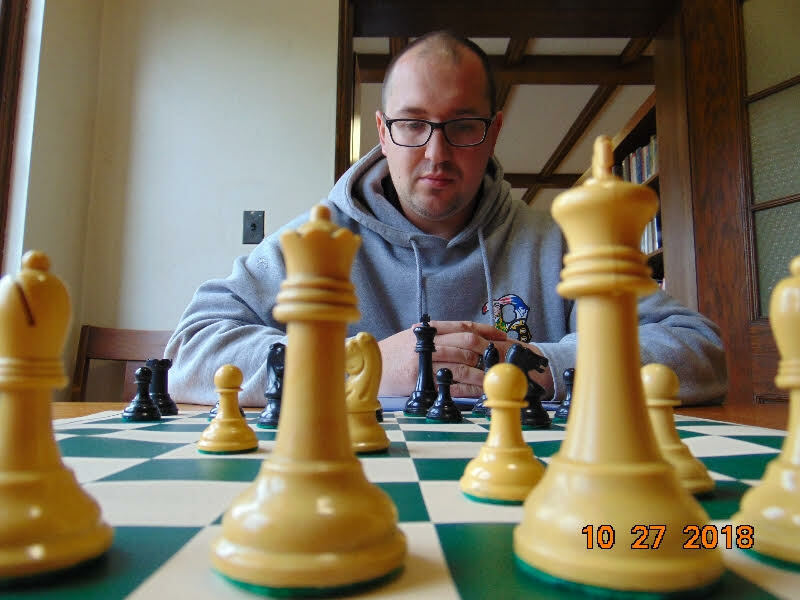 National Master Jarod Bryan swept the field in the Open section of the John Bapst Fall Tournament 3.5 points in four games. 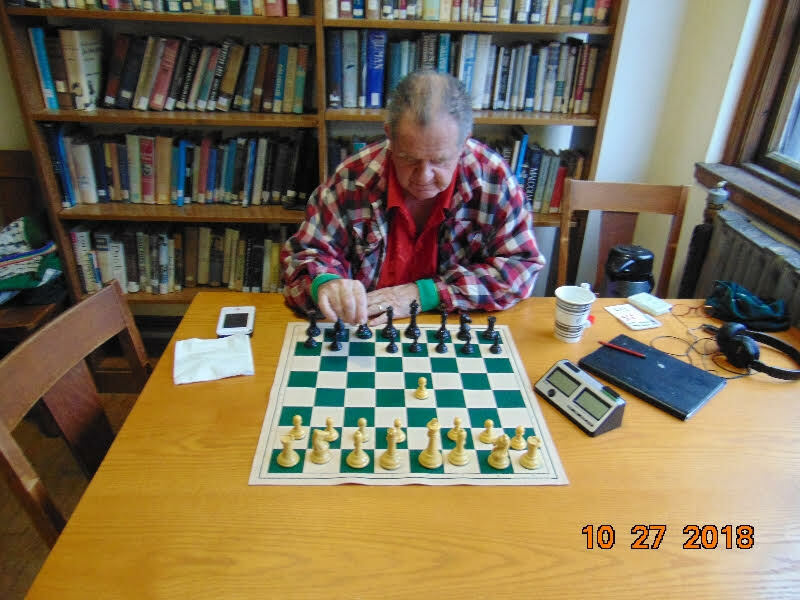 He notched wins in his games vs Bill Hartt, Wyatt Hendrix, and Rob Shore and settled for a draw with Cynthia Cui. Just off the lead in the Open section was Benjamin Mock who scored 3.0 points for sole second place. Mock was trailed by Wyatt Hendrix with 2.5 points in third place. 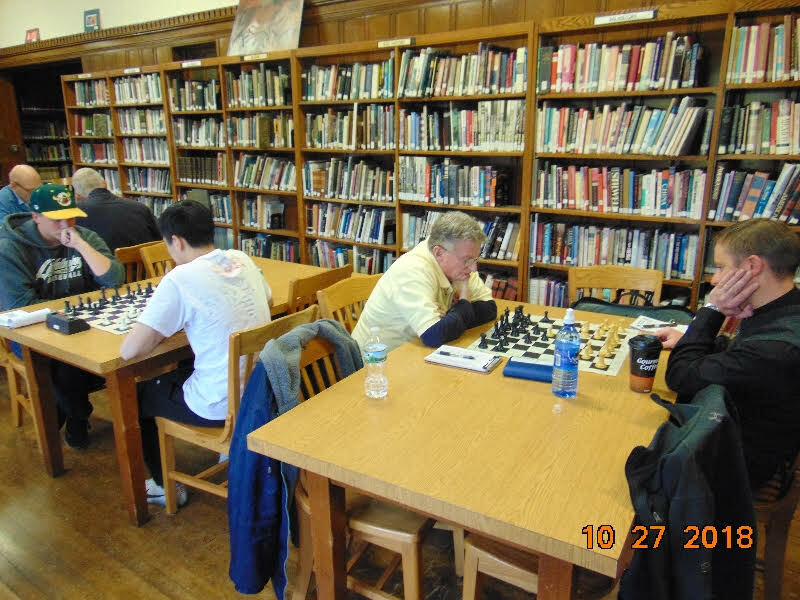 Four players finished equal fourth with 2.0 points: Cynthia Cui, Roger Morin, Bill Hartt, and Rob Shore. In the U1600 section, Evan Smith took first with 3.5 points. His only draw was to Tony Freudig in round three. Freudig and Oisin O'Searcoid tied for second with 3.0 points. Aiden Thomas claimed sole fourth place with 2.5 points and Mark Maynard and Evan Annis finished equal fifth with 2.0 points apiece. Andrew Demaris topped the U1200 section with an unbeaten and untied 4.0 points on the day. He was trailed by Zachary Brislin (3.0), Ian Villmore (2.0), Declan Thomas (2.0), and Leo Wlodkowski (1.0). Tobias Coffey rose to the top of the twenty-five player U800 section with 4.0 points. Prince Wand took clear second with 3.5 points and a five-player logjam ensued for third place including: Nathan Green, Devon Hunter, Tala Bayless, Porter Hubbard, and Huy Nguyen with 3.0 points. 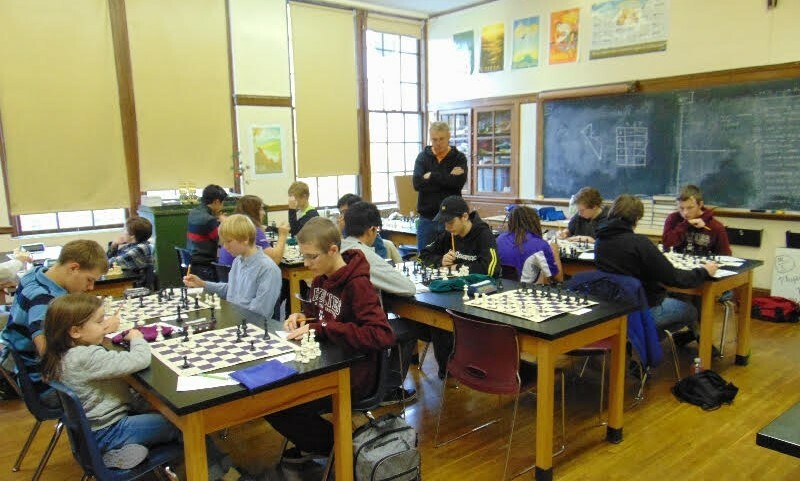 Thanks for all who participated, thanks to John Bapst Memorial High School for hosting and thanks to MECA President Mike Dudley for organizing and directing this tournament. Tournament winner Jarod Bryan (left) plays Wyatt Hendrix in round two. Roger Morin moves his c-pawn in response to White's 1.e4. 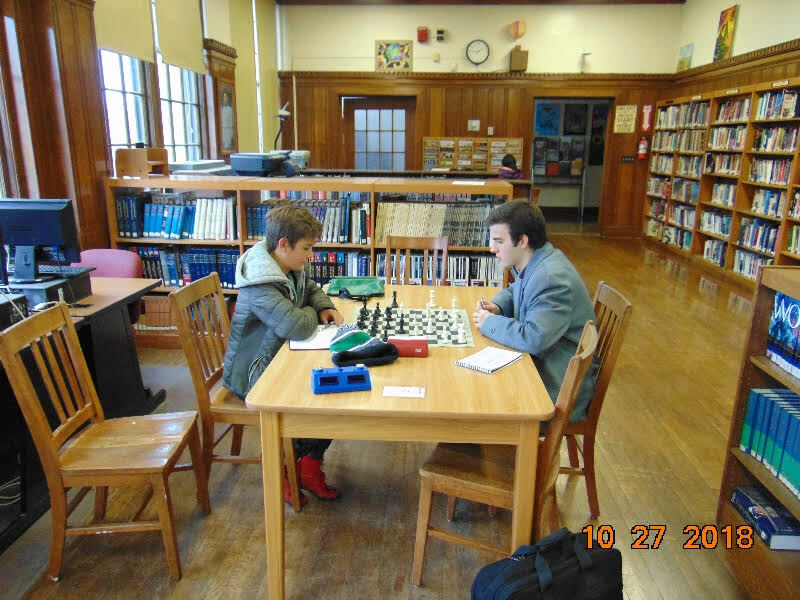 Tony Fruedig (left) and Evan Smith played to a draw in their third-round encounter in the U1600 section. 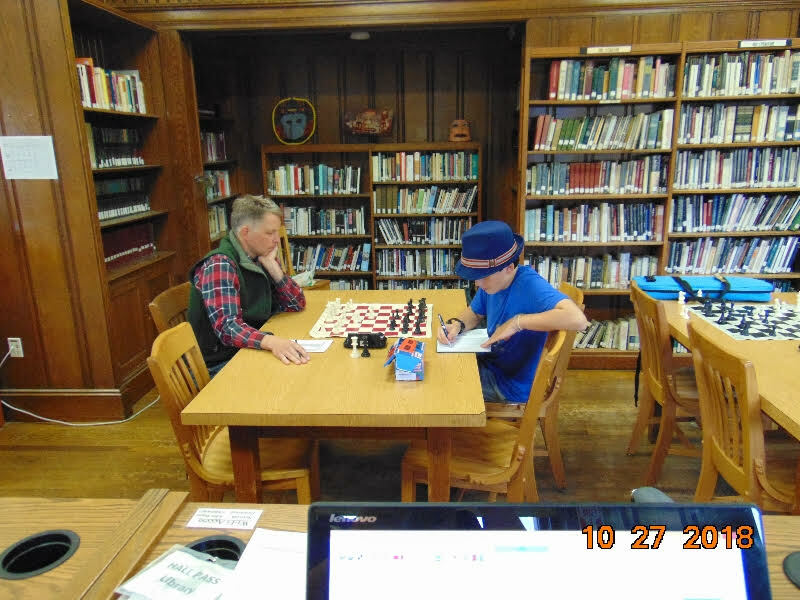 The Open and U1600 sections play in the John Bapst Library. Aiden Thomas (left) and Evan Annis play in the U1600 section. Action in the U1200 and U800 sections! Mark Matnard (left) plays Osin O'Searcoid in round three. Nathan Gates contemplates his position. 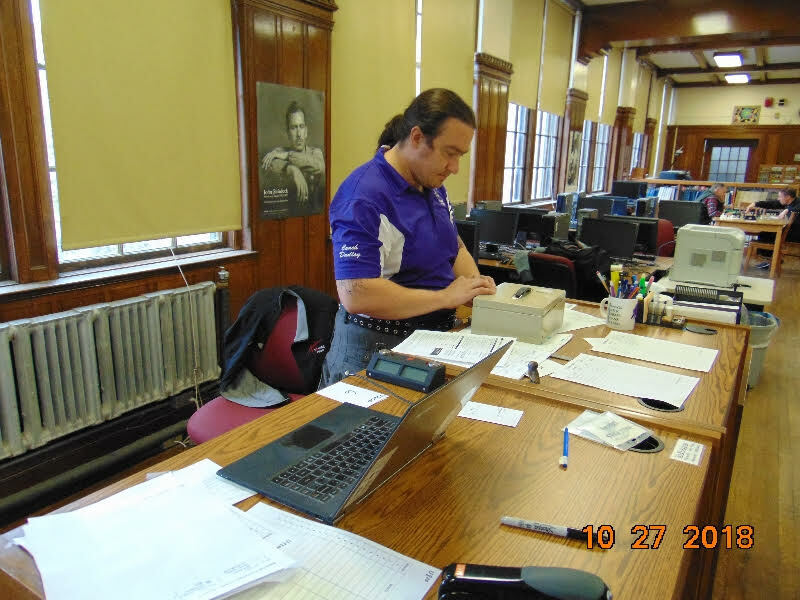 Thanks to tournament director and organizer Michael Dudley. 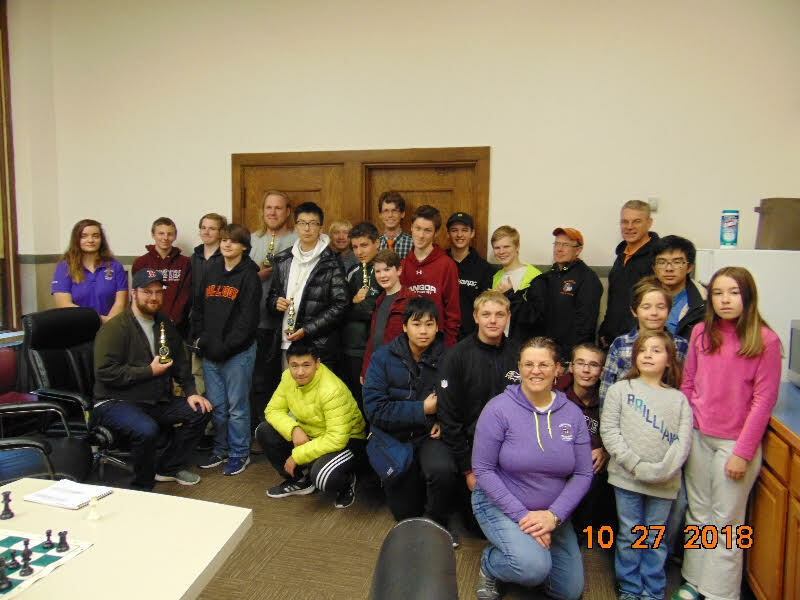 Everyone's a winner at the Bapst Fall Tournament!